The Basic Educational Requirements has been revised. SWS urges all qualified engineers involved with welding and related technologies to apply for the IWE qualifications as the transition period arrangements will expire on July 2011 after which all candidates will need to undergo full training courses and examinations. 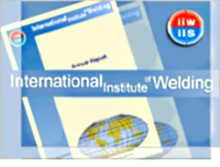 As SWS has become an Authorised National Body (ANB) of the International Institute of Welding (IIW), it is now in a position to conduct examinations leading to internationally recognised IIW diplomas available under the Transition Arrangements or Standard Routes. SWS has become a member of the IIW since 2001 and taken the decision to become an Authorised National Body (ANB) of the International Welding Institute (IIW) in Singapore. In each country IIW normally allows only one ANB to be the sole organization responsible for ensuring welding personnel training and certification programmes, and standards of education, examination and qualifications are within the IIW guidelines and requirements. In Singapore, SWS is in the process of applying to be an ANB of the IIW. When approved by the IIW, possibly sometime in 2008, S-ANB would be able to certify internationally recognized professional qualifications of welding personnel, such as IIW International Welding Engineer, International Welding Inspector, International Welding Practitioner, etc, who have undergone through structured training programmes conducted by an Authorised Training Body (ATB) approved by S-ANB and IIW.